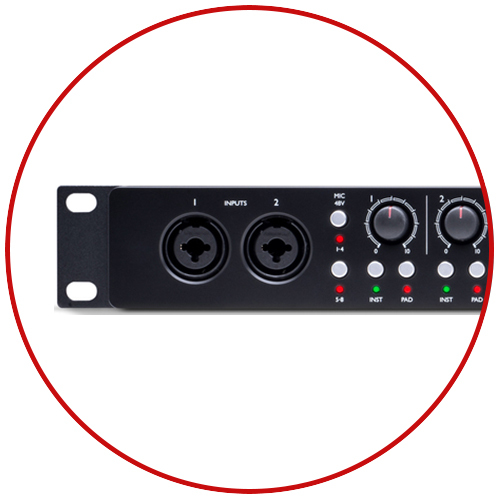 The Scarlett OctoPre is the ideal 8-channel expansion for any Scarlett - or other digital interfaces with ADAT inputs. ADAT is a simple and easy way of increasing the number of simultaneous recording channels available in your studio. 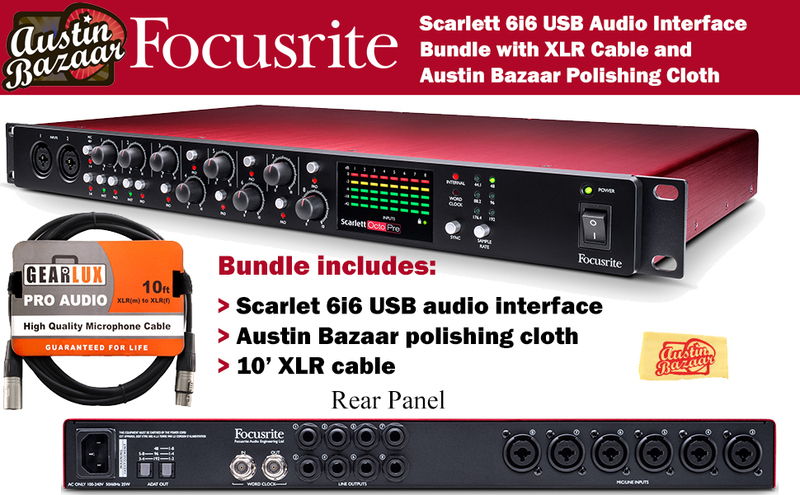 With eight channels of Focusrite's 2nd generation Scarlett preamps and precision A-D conversion at sample rates up to 192 kHz, Scarlett OctoPre is the ideal way of increasing the number of inputs in your studio. 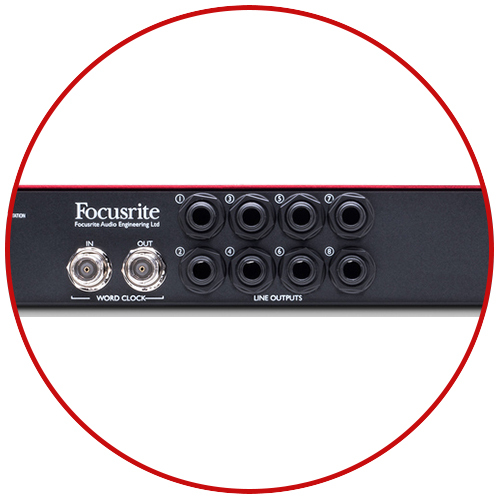 It also offers eight balanced line outputs, sourced directly from their respective mic preamps for use on stage in a live environment. Adding value to your purchase, Austin Bazaar bundles your instrument with necessary accessories, including a XLR cable and Austin Bazaar polishing cloth. Scarlett OctoPre Dynamic's eight analogue outputs can be sourced either directly from the mic preamps for live use, or via the ADAT inputs to give you eight more analogue outputs channels from your DAW. 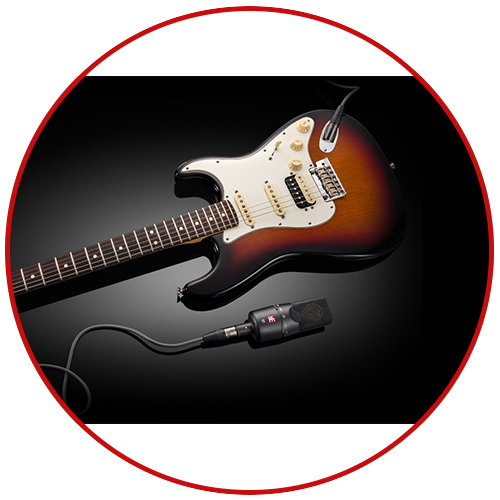 Two high-headroom instrument inputs will handle high output guitar pickups. Don't forget to engage a bit of compression, great for controlling the dynamics of electric basses and guitars. 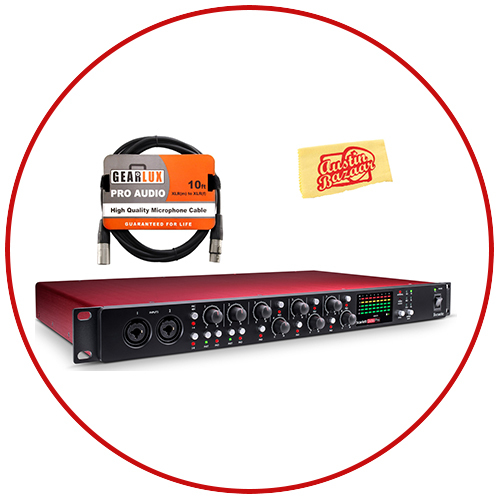 Scarlett OctoPre Dynamic is ideal for expanding any high quality, multi-channel recording system. With its high-headroom mic, line and dual instrument inputs, and analogue compression on every channel, it's ideal for tracking drums as well guitars, keyboards, vocals - and more.